Long time, no see ! 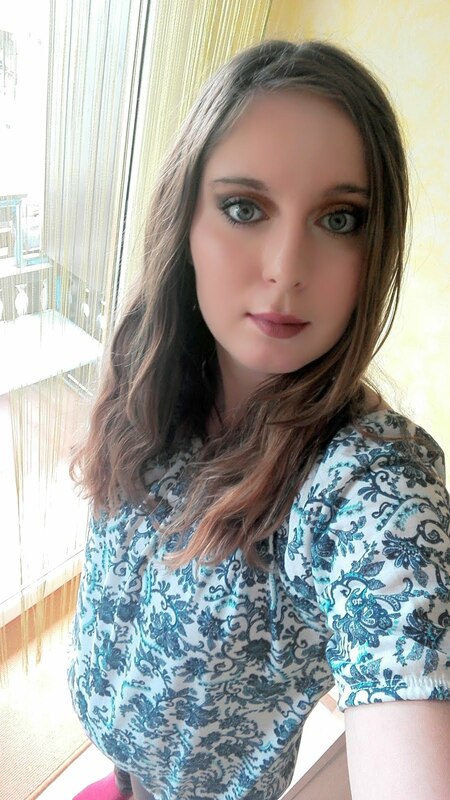 Sorry for that but I was very busy but now I`m back with non beauty review. In april I discovered cute box, filled with cute kawaii stuff so I immidiately order april`s box and when it came on my doorstep I was so exited. 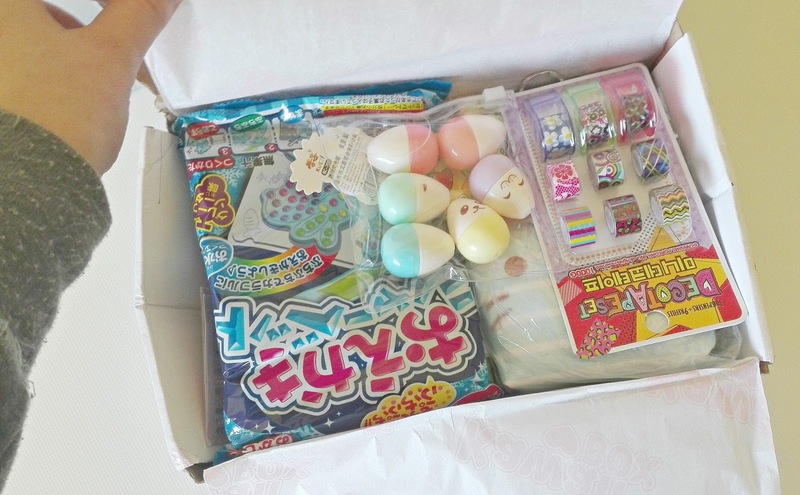 So in this post I will show you, what was hiding in april`s kawaii box. So first what is Kawaii box? 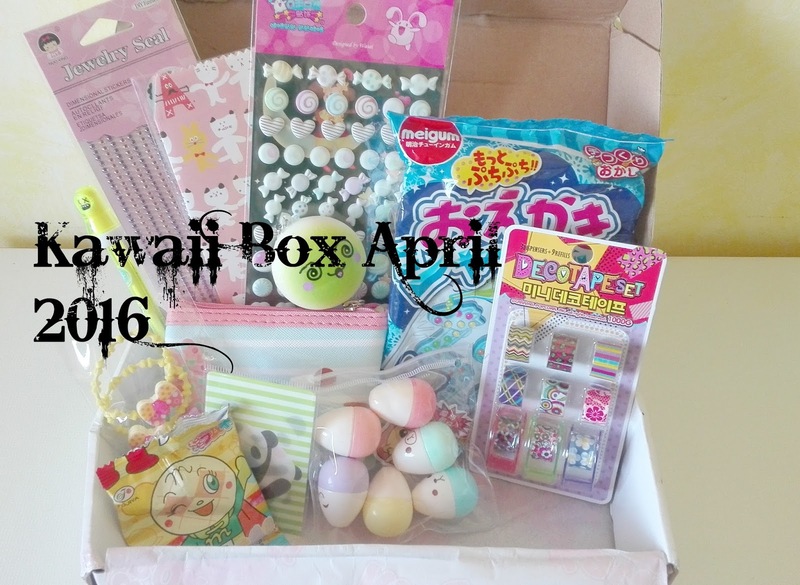 Subscribe now and get a box filled with japanese and korean kawaii items directly to your home everey month. 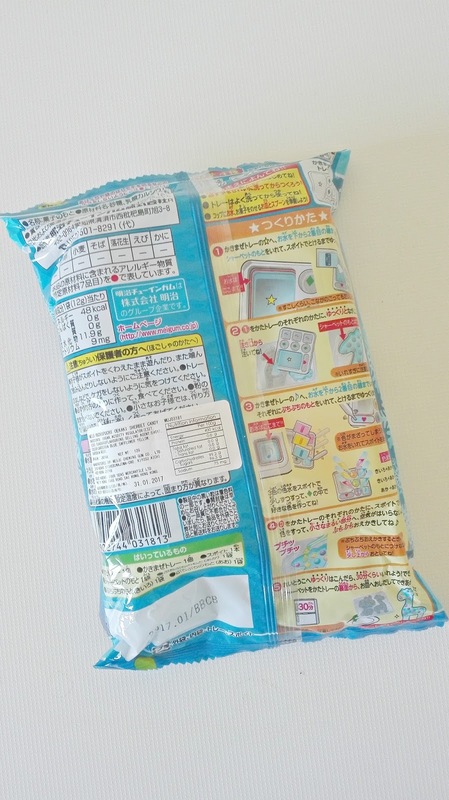 Each box includes 10-12 kawaii products. 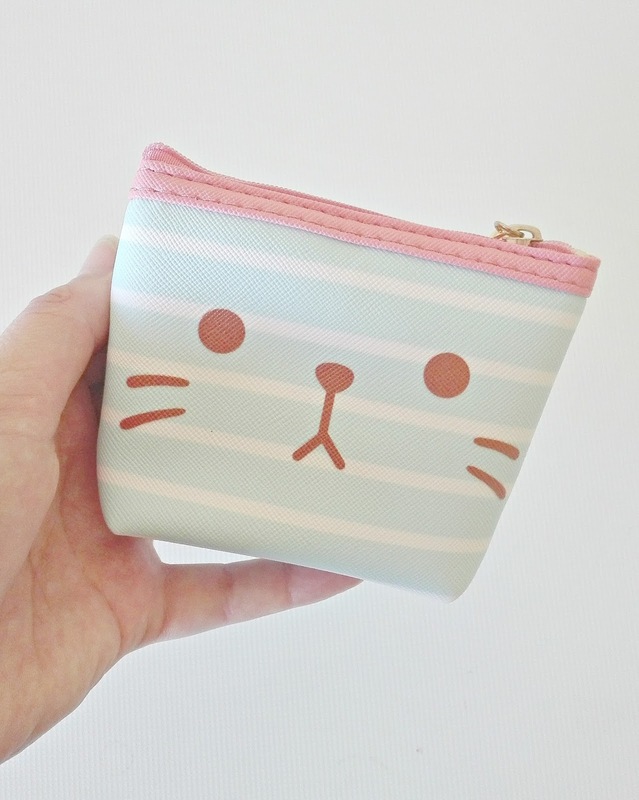 Everything from japanese candy to stationery and beauty accessories. You can order your box here ! By mixing water and the included ingriedients you can stir and mould this kit into a set of sherbets with different animal shapes. But sadly I ruined this set before I making it. 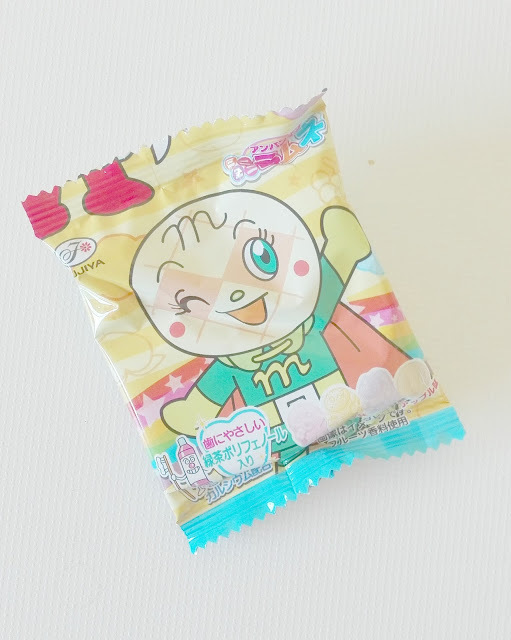 so I can`t gave you an exact information what taste this candy kit was. This purse is my favourite thing from this kawaii box. It looks so adorable, and the face of a cat is so cute. This purse has golden hoops, one keychain and one fastener which makes it hand to carry it wherever you go. 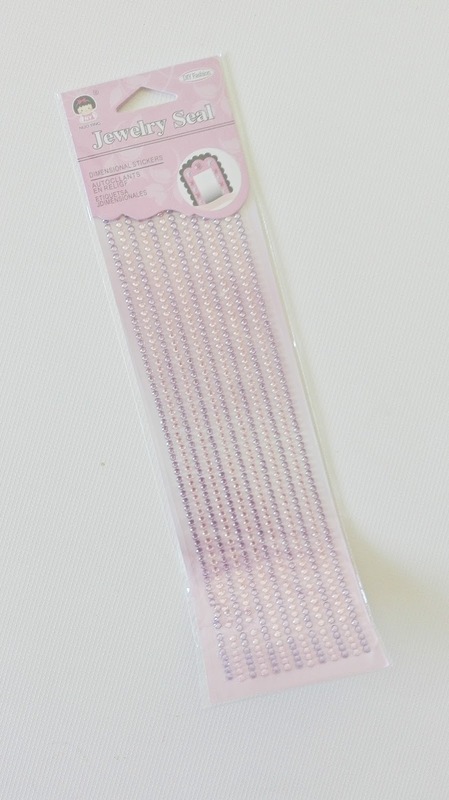 It`s big enough to stick one in or two lipsticks or lipbalms and mini hand cream. This stickers are very cute and you can stick it wherever you want, on your mobile phone. I stick them on my folders and my notebooks. 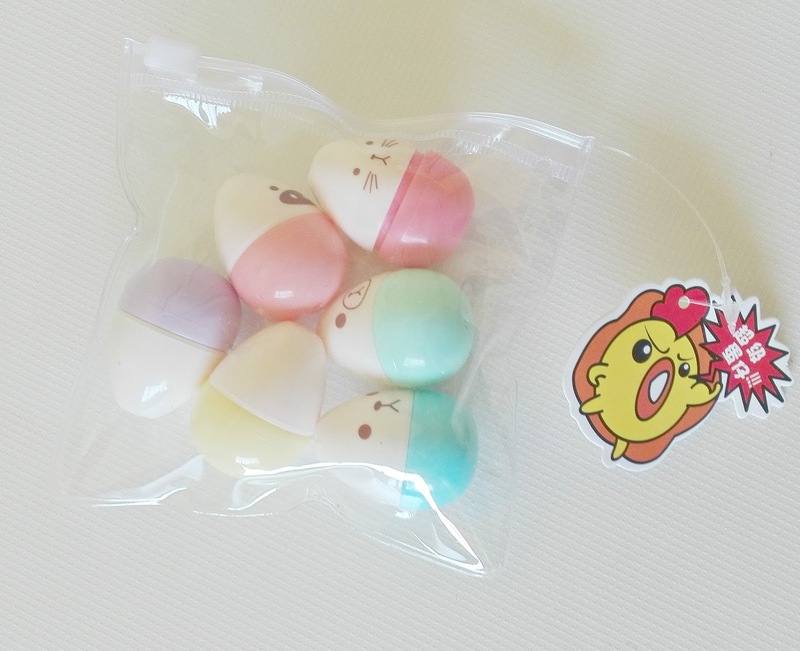 These egg shaped highlighters are also very adorable and on the first sight I didn`t know what was that. They are quite small so you can put in pencil cases with no problems. This squishy is so adorable with this pink cheeks, also is very soft. It has keychain attached so you can hang it wherever you want ! 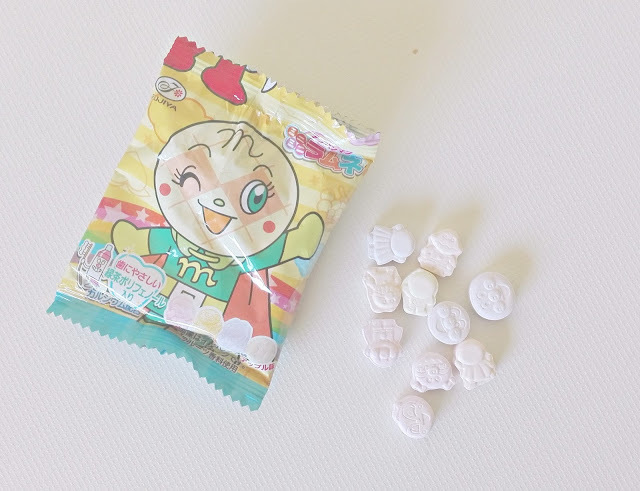 The hard ramune candies are shaped as Anpanman and his friends. Candies come in four different taste, I think mine was grape taste. 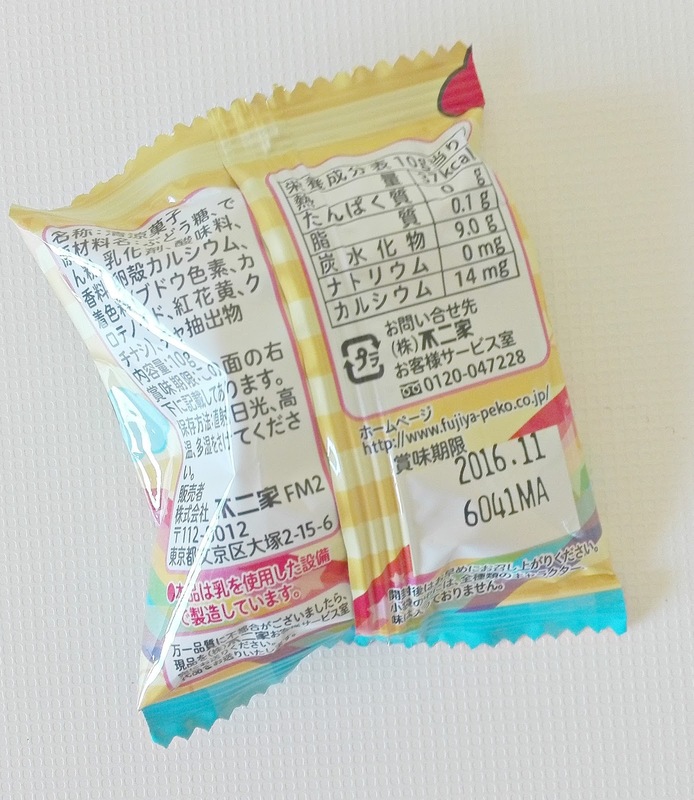 These candies also have a green tea extract to protect teeth strong and healthy. 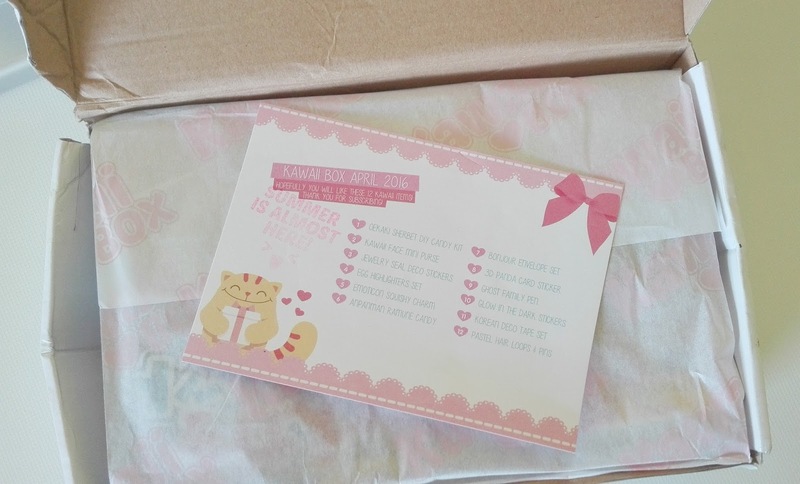 This envelope set is very cute if you want to send a cute letter to someone. On my envelope set you can see cats, bears and bunnies. 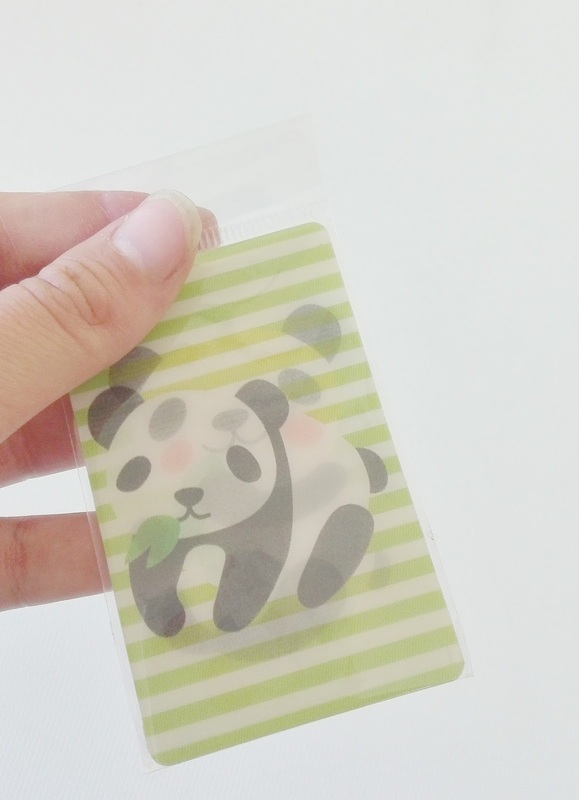 This card sticker with panda is so adorable, I love pandas. Everytime you look at the pand from a different angle it has changed the position. You can stick it evereywhere you want to add more cuteness and you can wath him move. 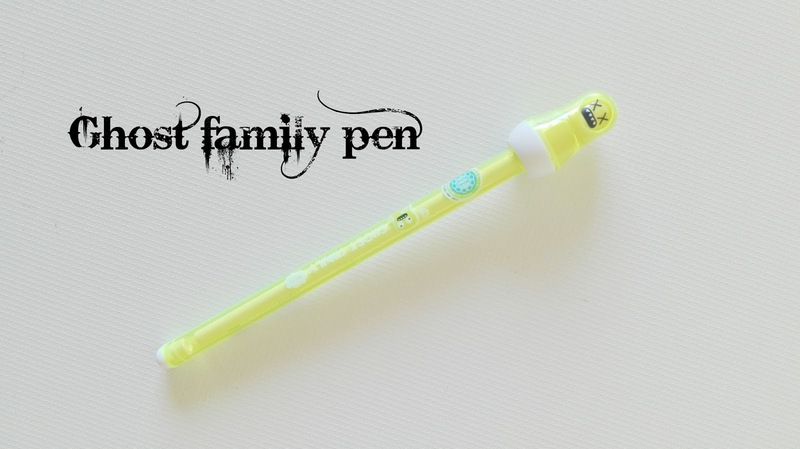 This pen is so adorable, and the monster on the cap looks very nice. This pen is also something special because you can erase the ink with the white eraser on the pen. 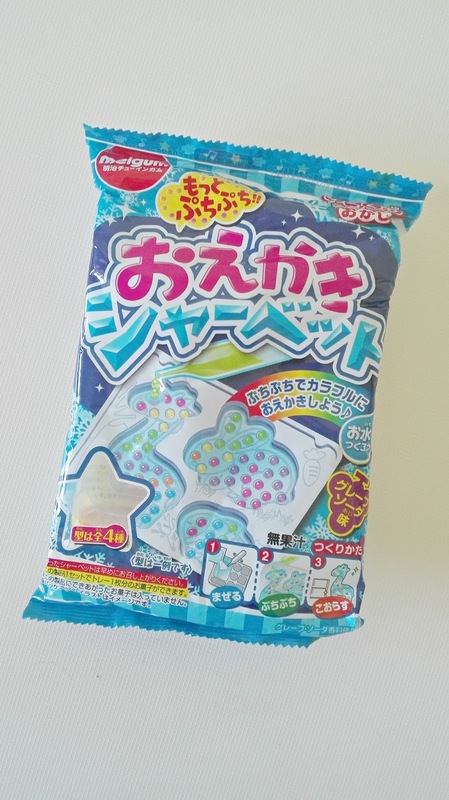 These puffy stickers lokk very cute but they also glow in the dark. 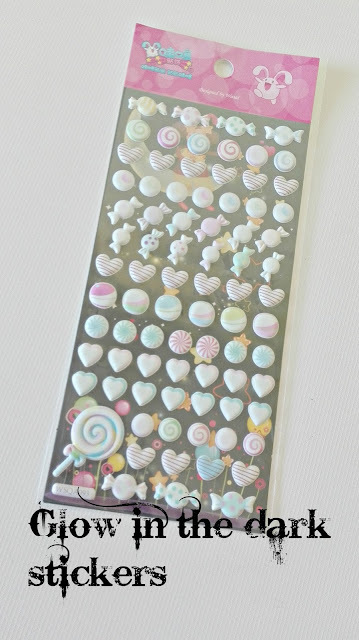 Mine came in sweet candies, you can see lolipops, bonbons, swirl candies. They looka dorable in the daylight but they are truly beautiful in the night. This set contains three mini dispensers and nine refills of tape, so you can make your notes or everything you want more colorful. 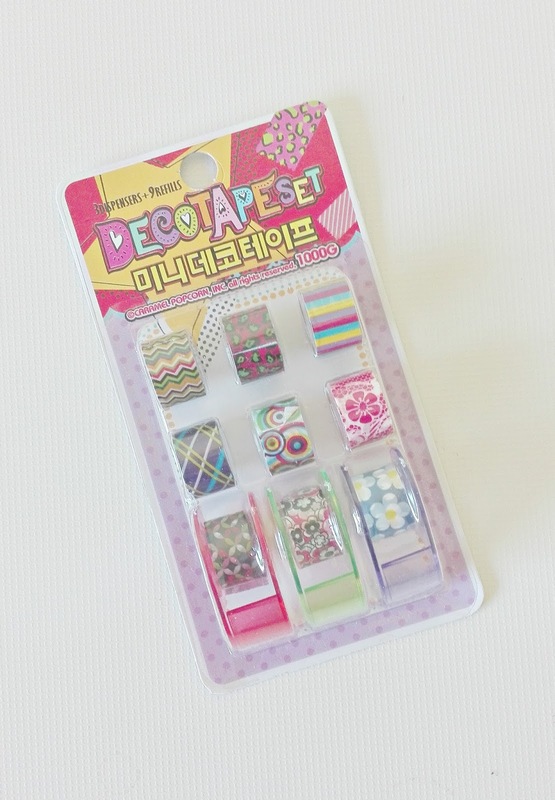 They came in cute patterns, such as flowers and abstract patterns. This hair loops and pins is the only thing I didn`t like in this box. 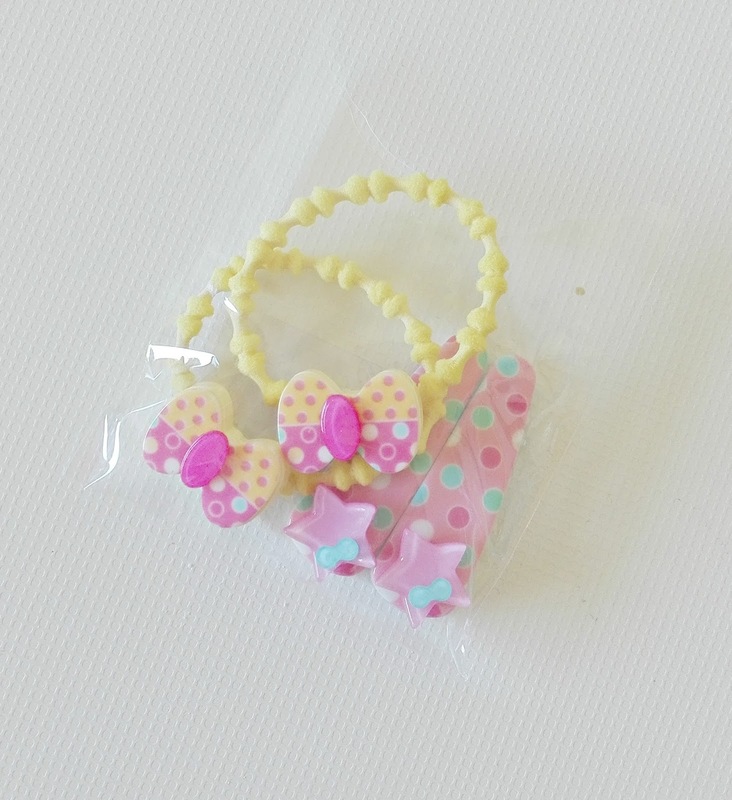 They look too childish and I`ll give them to little girl in my family who will realy like them. So we came at the end of this kawaii post. I can say that I mostly liked all of the products in this box, except of this hair loops&pins who look too childish for me, I like the most mini purse and egg highlighters set. So, my dear readers, how did you like this post? How do you like the item in this kawaii box? Let me know in the comments down below, I appreciate everyone of them.